On the first impression, Singapore doesn’t seem like a place that puts a lot of emphasis on arts or the literary works, but nothing could be further from the truth. Even though this city-state has been heavily associated with being a tourist hub that portrays itself as a shopping destination, there is more to this island than meets the eye. As the saying goes, never judge a book by its cover. That being said, if you are new to the country, and an avid reader looking for the best places to buy some good books, you have come to the right place. Singapore is home to a number of establishments, both big and small, that sell all kinds of books for all ages and walks of life. 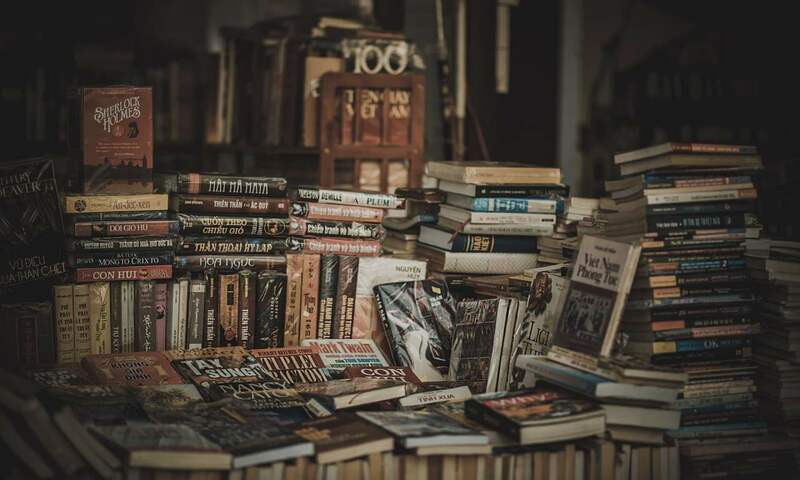 Whether you prefer a new book or a second-hand book that is in decent condition sold at dirt cheap prices, the bookstores in Singapore will suit every budget. More importantly, these bookstores will work to fill your voracious appetite for reading for the time being. Located at 9 Yong Siak Street, Tiong Bahru, Books Actually is an independent bookstore that sells a good selection of contemporary and classic fiction. One of the main things that set this bookstore apart from the others is that it specialises in Singaporean literature. You can find essays, novels, anthologies, novella, and poetry books here as well. While here, set aside some time to check out the Balik Kampong series that sheds light on the forgotten side of Singapore, based on the perspective of author Verena Tay. To keep things interesting, there’s even a vending machine that dispenses books located just in front of the store. What’s more, if you’re the type that enjoys surprises, you would be glad to know that most of these books are wrapped with white paper with the words Mystery Book on the front cover. The independent bookstore is renowned for its picture books catered to young readers and the young at heart. Founded in 2009, this quaint bookstore is nestled in the quiet and charming Tiong Bahru neighbourhood. They also have a second branch called Books Ahoy!, which sells picture and chapter books both in the fiction and non-fiction category that will appeal to young readers. Books Ahoy! is reputed for having a depository of books that cater to all kinds of genres including fantasy. The main objective of these bookstores is to cultivate a love of reading amongst young readers that will hopefully stay with them for the rest of their lives. Touted to be one of the best bookstore franchises in Singapore, Kinokuniya is renowned for its wide selection of books, magazines, graphic novels and many more. If you can’t find a particular book, you might just find it here. Besides English titles, you can also find Japanese, Chinese, French and even Taiwanese magazines. If you are a sucker for Japanese products, you can get some over here as the bookstore sells quality stationery that is directly imported from Japan. To get the best out of your experience, you should drop by the Ngee Ann City outlet, which is reputed to be the biggest bookstore in Singapore. The store is home to 400,000 books and attracts more than 200,000 visitors every month. There are several second-hand bookstores in Singapore that sell previously owned books at prices so low that you would probably do a double take after seeing the price tag. And mind you, these bookstores sell everything from Oscar Wilde’s classics to self-help books at a fraction of the normal price. As one of the oldest bookstore at Far East Plaza, Ana Bookstore is a dream come true for people who have a soft spot for old bookstores stocked with books from floor to ceiling. There is a plethora of fiction that fills every nook and cranny of this place. Additionally, this place is perfect for anyone, be it the first-time collector or even the casual reader looking to get something good and cheap to stimulate the mind. Love comics and graphic novels? This store has you covered. It has an enviable range of vintage comics that date all the way back to the 80s and 90s. If you are lucky enough, you might come across an extremely rare edition! It’s hard to miss the Evernew Book Store located in Bras Basah Complex; its fairly prominent posters and figurines of the late Mao Zedong displayed on the storefront is a sight that fairly uncommon in Singapore. Besides posters of communist China embellishing various parts of the store, there are countless second-hand books that fill the towering bookshelves that flank either side. The store’s massive collection is actually categorised according to the genres, so you can easily find the book you feel like reading.